A critical hearing takes place tomorrow in the case of Sam Keller vs. the NCAA, Collegiate Licensing Company, and EA Sports. The lawsuit, originally filed in 2009, has reached the Ninth U.S. Circuit Court of Appeals after the argument to dismiss made by EA Sports regarding free speech protection as creative works of art was rejected last February. That First Amendment challenge has been watched closely and supported by Hollywood as it could affect their entertainment-based operations if challenged in the future. The two most prominent and potentially damaging lawsuits that were filed separately, those being from Sam Keller and Ed O’Bannon, were combined into one large class action suit against the NCAA and its partners. Keller’s side has been arguing for the right to be compensated for having their likeness used while in school, while O’Bannon’s fight has been about paying for likenesses used after the student-athlete has left school. Several other former collegiate athletes have joined the class action including most recently Oscar Robertson. The final result of the lawsuits will have a huge impact on how video games (amongst many other avenues such as jerseys, memorabilia, broadcast contracts and DVDs) can operate. 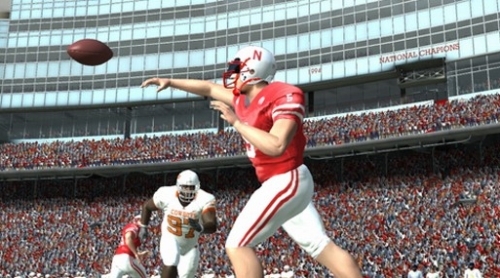 Should the former athletes win it would lead to drastic changes for the video game landscape. College sports games would become completely generic in rosters and ratings and even the ability to use “roster sharing” would potentially have to be removed. The other option would be with the NCAA actually compensating players and in turn a company like EA Sports paying for full rights to use complete player likenesses even down to real names. The difficulty in that stems from the costs involved and how the money would be split amongst players. High profile individuals would certainly have more claim to funds than those who barely make the team and never see the field. However that would get extremely messy to determine based on individual exposure, team exposure, and on-field performance. It could end up being a big pot that is split evenly but then there would probably be more lawsuits to come out of that. Regardless it is hard to imagine a company paying a huge sum for player likenesses since that would involve approximately 15,000 individuals each year getting a cut of what would need to be a large amount to be sufficient. The profit margin on college games are so slim to begin with. If the lawsuit goes in the NCAA’s favor it would be status quo for the time being. Rosters would continue to be partially representative of the real-life players without crossing the boundaries that have been in place in the past. EA Sports has been trying for some time to obtain the rights to use player names in the game and had gained ground on a potential deal with the NCAA but the lawsuits pushed things off track. That discussion could be re-entered if the opportunity arises. College basketball games have always been weak sellers and no company is going to risk jumping in right now to create a new game with the lawsuits looming. College football seems likely to survive regardless of the final decision as the sales are more significant however it will have a big influence on the direction it goes. Certainly, even as the exclusive license expires after this year, EA is really the only company in a position to make the ongoing investment in an NCAA Football series. Whether they find it fiscally responsible to do so is another question. Whatever the final ruling this will surely not be the final stop for the lawsuit. It is believed that it will eventually end up in the Supreme Court. That means it could be a few more years before the final ramifications, either way, are felt.